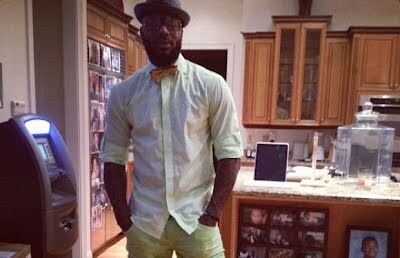 There's only so much time to attempt to write high-minded-ish 1,000 word blog posts: With that said, above is photographic proof of DeShawn Stevenson's kitchen ATM, which must be the NBA equivalent of Rob Dyrdek's time machine or Dill's blood wall. The news that Zered Bassett is off Zoo (along with a handful of other legit dudes) harkens back to this Boil The Ocean post highlighting the haves and have-nots in skateboard world, featuring, in its own way, Zered himself. One hopes for a soft landing, somewhere, for Dr. Z and the discussed Vicious Sequel to actually happen. Wiskate has GIFs and GIFs and GIFs. That ollie by Nordness is rad just because it is exactly what it is, fun to see. I was wondering... Bring it back dudes. Is it too early to anoint the San Antonio Spurs as America's Team? After the drubbing they bestowed upon (Middle) America's Other Team tonight, the Oklahoma City Thunder, it sort of feels forgone. I expected OKC and Timmy and Co. to at least split the first two, but now the Spurs are rolling and more than five games for the series seems like a dream for OKC. On the other coast? I see a bit of my early 20's slip away with every Kevin Garnett-botched-dunk. Sure, the mid-range game is still intact, but the purported seven footer (6'11" was a lie for a long time) has no lift and a team cannot live on psychosis alone. The dastardly Miami Heat in five as well, if not four. We'll see.